The human body is the best work of art. The most responsible thing you can do for it is to love your body. Sometimes due to simple daily chores, you ignore your body’s cry for help. It requires more focus and dedication towards it. In this modern world, a fit healthy body is the best fashion statement. So, TabletShablet brings to you a brand that has been in the market for years and known for its best results. Sebamed provides a wide range of healthcare products to obtain a fit and healthy body. 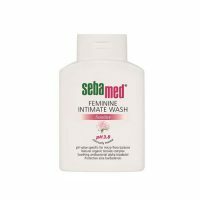 Sebamed is a German brand name of Sebapharma, established by Heinz Maurer in 1957, manufacturing medicinal cosmetic products. Since 1971, Sebamed product is exported to over more than 80 countries and have been used in over 150 scientific studies and are recommended by dermatologists, pharmacists and consumers all over the world. The company provides medicinal skin care products with a pH value of 5.5 for healthier skin. More than 120 scientific studies have tested the effectiveness of products. Who doesn’t dream of perfect, healthy skin? But with the ever increasing pollution and skin issues, it becomes much difficult to maintain healthy, glowing skin. Healthy skin is equal to beautiful skin and it is important that your skin should be healthy first because looks will naturally follow. You need to be 100% sure with the kind of products to use on your skin. TabletShablet gives you variety of Sebamed products to choose from. 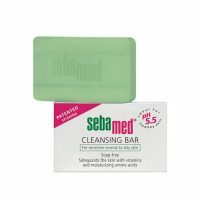 In the skincare section, we have Sebamed face and body wash and Sebamed clear face care gel. 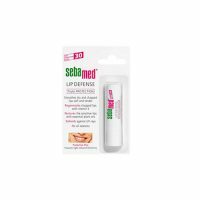 For lip care, Sebamed Lip Defense is available. 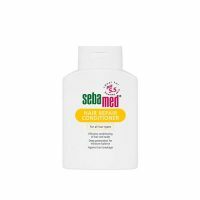 Sebamed shampoo for better hair care. Sebamed products are known to treat skin conditions like eczema, psoriasis, rosacea and dermatitis. They are available in different ranges from skin products like cleansing bar to baby care products like baby wash and baby fairness cream. For babies one cannot use the same products as us, their bodies are much more delicate. Therefore, selecting baby care products should be done carefully. For your baby’s delicate skin, we provide a range of products like Sebamed baby cream, Sebamed baby shampoo, Sebamed baby oil and Sebamed baby bath.